I just purchased a new zoom lens, okay, a monster zoom lens (Simga 50-500mm) and decided I had to see what this thing could do. Weighing in at 4 pounds, it is quadruple the weight of my camera. My REI Hiker walking stick provided stabilization, but just barely (I can't wait until Christmas). I knew the perfect place to go: Coyote Hills in Fremont. 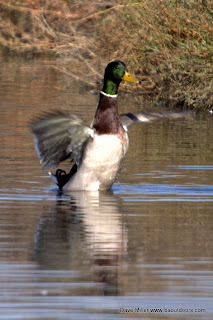 The coastal hills and wetlands are a great place to view wildlife, especially birds. Even though we arrived later than I wanted, I was hoping some of the critters were still out and about. We (Ronald and I) parked in the "free" lot and headed into the park. It wasn't looking too good, there was not much action in the sky. The first bird we came across was a Golden-crowned Sparrow (At least I think it was one). 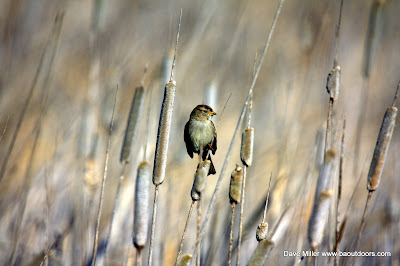 There were a number of them playing in the reeds on the side of the trial and I snapped off a few shots. I soon spotted a number of hawks circling above me, but they were right in the sun and there was no way I could get a shot of them. In fact, the hawks teased me the whole time I was there. Always out of reach even with the monster lens! 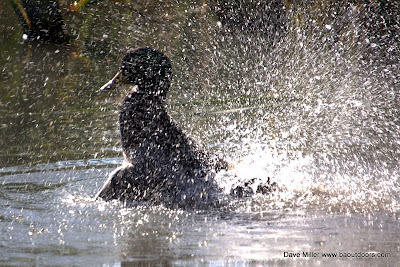 A bit further down the trail we came to a small canal with a number of Mallard Ducks bathing. 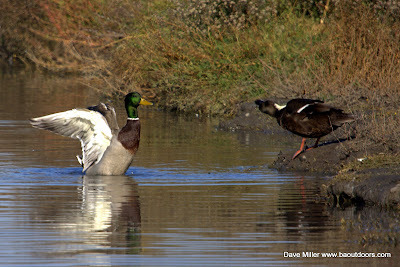 I was hoping for Egrets and Herons, but the ducks would have to do. I hefted the 15" of lens through the reeds and kept the shutter busy. 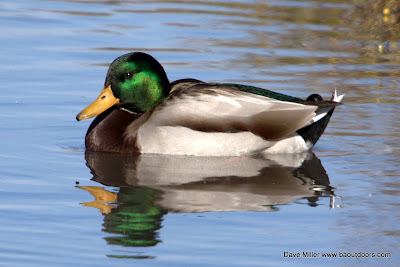 The ducks did not disappoint and I appreciated their cooperation. We walked a bit further towards Dairy Glen, but it became apparent that we weren't going to see much more. Heading back to the car, a couple of guys on mountain bikes passed us and I heard one of them say to his buddy, "Did you see that lens?". I smiled, stood a bit taller and continued on. 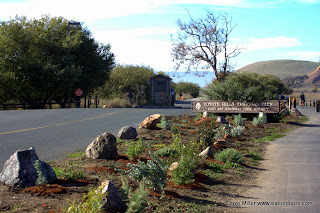 Coyote Hills is a great place for hiking, biking and wildlife viewing. The terrain varies from plank walkways through the wetlands to trails along the bay. 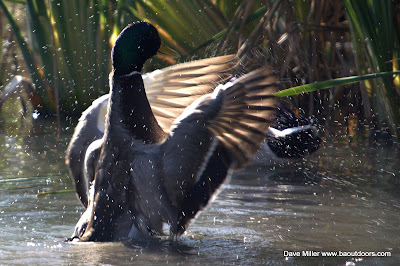 The park connects to Don Edwards National Wildlife Refuge to the South and the Alameda Creek Trail to the North. You can check out a nice loop trail at Backpacker.com (I didn't map this one, but it is still a good trek). I've posted a number of photos below. Click on them to see a better resolution pic. Thanks for the nice comments. I use Photoshop to make the Gallery Prints. It's pretty easy to do and I love the effect!